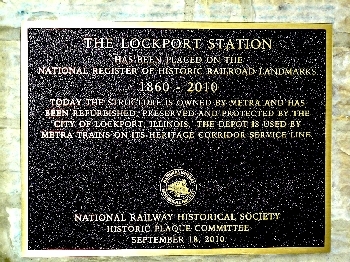 Built for the Chicago, Alton & St. Louis (forerunner of the Chicago & Alton, and later the Gulf, Mobile & Ohio) the depot has served Lockport continuously for a century and a half. 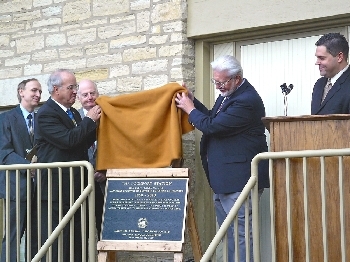 ​​On a rainy September 18, 2010, the Blackhawk noted the historical status of our hometown station with a formal ceremony recognizing the station's150th anniversary. 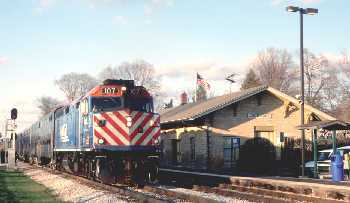 A key stop on Metra's Heritage Corridor, the commuter rail operator expanded the parking lot and platforms in 2010 while leaving the historical station in place. The City of Lockport also did some much needed touch-up work for the event. 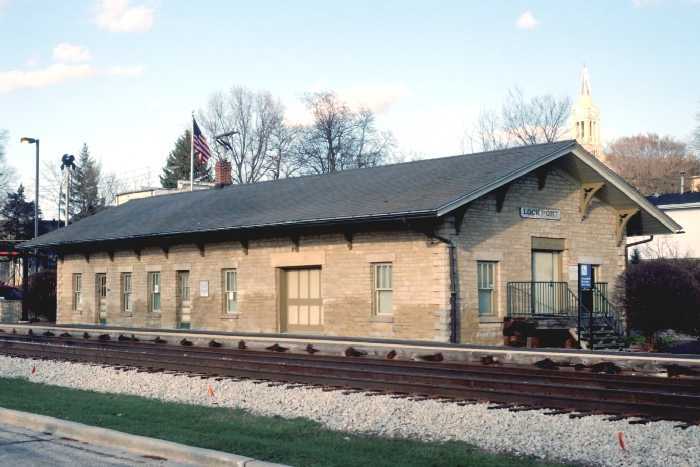 ​Thanks to the efforts of Blackhawk president Bill Molony, the Lockport station will not only be recognized as a historical railroad landmark, but also an example of the railroad's continued importance to this community.